Nothing stays the same in dynamic systems, and it’s inevitable that the current glut of low costs / cheap stuff will give way to scarcities that cannot be filled at current low prices. Then one of Earth’s numerous periods of cooling–a mini ice age–replaced the moderate weather, pressuring agricultural production. 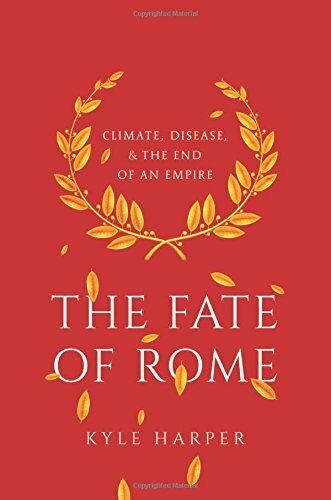 These trade routes acted as vectors for diseases from afar that swept through the Roman world, decimating the empire’s hundreds of densely populated cities whose residents had little resistance to the unfamiliar microbes. Colder, drier weather stresses the populace by reducing their food intake, which leaves them more vulnerable to infectious diseases. This dynamic was also present in the 15th century during another mini ice age, when the bubonic plague (Black Death) killed approximately 40% of Europe’s population. Then there’s infectious diseases. Global air travel and trade has expanded the spectrum of disease vectors to levels that give experts pause. The potential for an infectious disease that can’t be mitigated to spread globally is another seriously under-appreciated threat to trade, tourism and cheap stuff in general. 1. Fossil fuels could become much more costly. While I consider it highly likely that the price of oil in US dollars will fall to $40/barrel or lower in a global recession due to a sharp drop in demand (what I’ve long termed the head-fake), longer term, it’s inevitable that the cheap-to-access fossil fuels (other than coal) will become depleted and the cost of accessing, processing and transporting what’s left will rise. 2. Trade restrictions/conflicts. Globalization and populism both target “unfair trade practices” in which “unfair” is in the eye of the beholder: imports hurt the domestic economy everywhere, and exports help the domestic economy everywhere. 3. Global wages are rising. You’ve probably seen signs at Home Depot and fast-food chain outlets announcing “we’re hiring”: even though 100 million working-age people are “not in the work force” in the U.S., many of these individuals lack the skills and/or willingness to take jobs in the modern economy, which demand a lot of workers even in so-called low-skill fields such as fast food. To work in fast food, individuals must be able to handle high pressure and a fast pace; it’s not an easy job by any means. Many employers are reporting that they can’t find enough qualified candidates who pass drug tests, yet another fallout of the opioid epidemic. Many people are saddled with felony convictions for nonviolent drug offenses, rendering them ineligible for most corporate or government employment.